HARTFORD, CONNECTICUT , UNITED STATES, January 26, 2017 /EINPresswire.com/ -- HARTFORD, CT – January 26, 2016 – SoVita Chiropractic Center™, the renowned Hartford-based patient-care facility, announced today Dr. Karlos Boghosian’s inclusion as a speaker at the New Beginnings Winter Intensive on Saturday, January 28. New Beginnings is dedicated to preserving, protecting and perpetuating chiropractic without compromise. Dr. Boghosian joins an impressive lineup at the Winter Intensive and will present “The First 15,” outlining his philosophy and discussing strategies to ensure an improved patient experience. The New Beginnings Winter Intensive will take place January 28 to 29 in Iselin, New Jersey. For more information on Dr. Boghosian’s appearance at New Beginnings, or to register to attend, visit http://nbchiro.com/. SoVita Chiropractic CenterTM announced its franchise opportunity program in fall 2016. For additional information about this franchise opportunity, visit www.sovitafranchise.com, e-mail info@sovitafranchise.com or call (860) 246-1400. SoVita Chiropractic Center™ is committed to delivering the highest level of chiropractic care with the purpose of inspiring and educating individuals who are looking to get the most out of their lives. 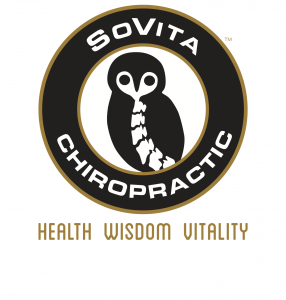 The SoVita Chiropractic Center™ franchise program designed to provide systems for accelerated business growth. For more information on SoVita Chiropractic Center™ visit www.sovitafranchise.com.